We are one of the pioneers in adopting React JS framework right from its introduction as an open source. 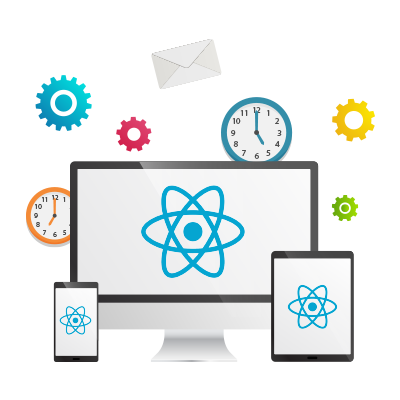 Our experienced React JS developers specializes in providing React based front end applications. React JS is a robust and highly scalable framework and hence it can be used to create mobile apps that have heavy functionalities. Code reusability is another advantage as developers can re use the code don't need to write the new code every time thus saving money and time. The main focus of React JS is on the user interfaces and that makes it more popular compared to other frameworks. It is one of the most SEO friendly frameworks and hence using it increases the chances of online presence of your website. There is a huge online community of developers who are available to provide guidance and support when needed. Virtueinfo recognized the importance of React right from the beginning and hence our React JS developers have thoroughly adopted the main features, tools and React API libraries in order to produce a quality output. Our mobile app developers have successfully build some of the complex mobile web apps using React. We have used this open source framework to its full potential and hence we assure a fast and steady output which can sustain for a longer time and can easily be modified when needed. We have developed many front end web applications development services that is easy to use and faster using React. Our developers have experience in building custom software and mobile application developments using React JS framework. We provide the best mobile application development solutions even for the most complex and heavy mobile apps using React JS. Our designers can guarantee the most eye catchy, creative, interactive and user friendly designs and layouts using React JS. We specialize in the development on custom made plug-ins that are safe and consists of unique features and functionalities. Our developers will ensure a smooth and hassle free migration from your existing systems and apps to React JS. We offer e-commerce web design services for small as well as large ecommerce platforms using React JS. 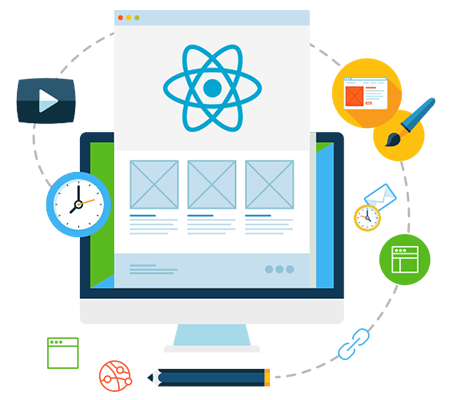 We have a dedicated team of Quality Assurance and Testing engineers who will test each and every segment of the React JS developed website in order to eradicate any errors before launch. Our React JS experts provides technical support to address any issue or queries regarding project development and delivery.